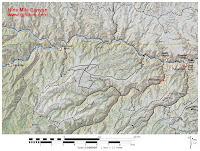 The Big Buffalo site is located in the Nine Mile Canyon Backcountry Byway near Wellington, Utah. 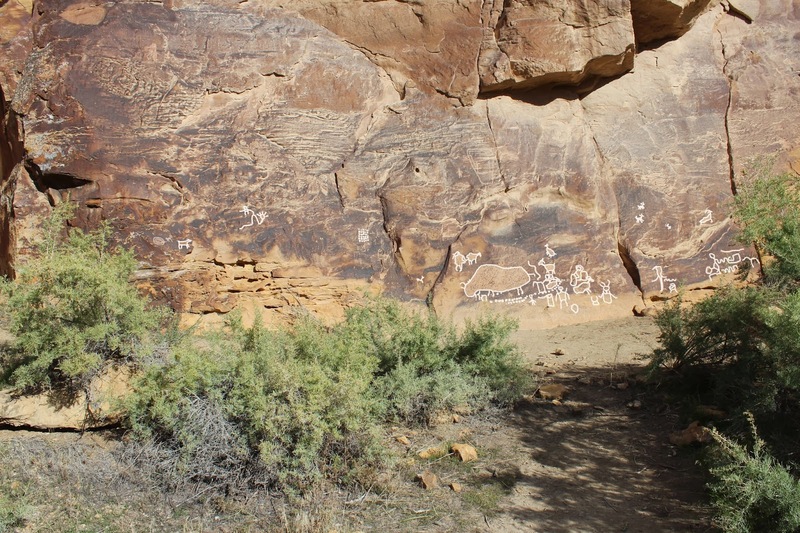 This site has the largest known buffalo petroglyph in the Nine Mile Canyon area. The Big Buffalo site includes panels of both petroglyphs (etched images) and pictographs (painted images). Besides the big buffalo petroglyph there is also a panel with a pregnant buffalo petroglyph and a pictograph panel with a red and white shield image and a yellow anthropomorphic figure. 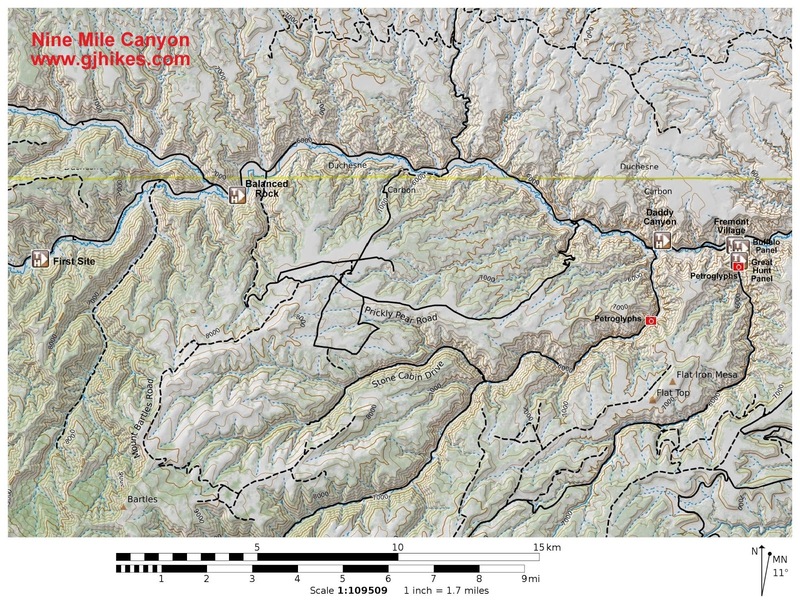 The trailhead for the Big Buffalo site is a pullout along the Nine Mile Canyon Road at about mile marker 45.7. To get there turn north off of Highway 191 at Walker's Chevron on the east side of Wellington, Utah where you will find a large brown sign for Nine Mile Canyon. This route is paved the entire distance whereas some of the routes that Google Maps get directions likes to pick are not. Brochures can be found at times inside of Walker's Chevron or they can be downloaded in advance from castlecountry.com. The trail begins across the road from the pullout and crosses the intermittently flowing creek. From there it is less than 100 hundred yards to the cliff where numerous petroglyphs have been pecked and inscribed including the 'big buffalo' for which the site is named. Padre Silvestre Vélez de Escalante of the Dominguez-Escalante expedition of 1776 makes mention of killing a buffalo while they were traveling near the present day town of Rangely, Colorado which is about 70 miles as the crow flies from this location. Herds in areas such as this were probably small in numbers. From the Big Buffalo panel follow the trail north and pass through the gap between the cliff and the fence post to get to more panels that you won't want to miss. After a short distance you will find a very unique petroglyph of a pregnant buffalo with a mixture of other archaic and modern petroglyphs and pictographs. It seems that any spot that was suitable for writing has rock art of one form or the other on it. I guess if you have a story to tell then all you need is some patina to write it in or a smooth surface to paint it on. What do you think? It looks like a juvenile bald eagle to us. It takes juveniles a couple of years before their head feathers begin turning white and 4-5 years before they have their iconic adult plumage. We verified it the best we could using our copy of The Sibley Guide to Birds. There are more petroglyphs and pictographs scattered along the cliffs on the side of the road near the pullout. All you have to do is walk along the road a little to find them. Some of the older ones are very faded and easy to miss. If you would like to see it for yourself then all you have to do is 'Take a hike'.